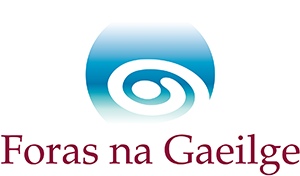 Tá Gradam LoveLeabharGaeilge do Leabhar Gaeilge na Bliana oscailte anois le haghaidh iarratais!! Tá ríméad ar LoveLeabharGaeilge a fhógairt go bhfuil urraíocht á déanamh acu ar an An Post Irish Book Award 2018 (Gradam LoveLeabharGaeilge 2018). Is do gach leabhar Gaeilge do dhaoine fásta a foilsíodh idir 1 Samhain 2017 agus 31 Deireadh Fómhair 2018 an chatagóir do leabhair Ghaeilge san An Post Irish Book Awards. Tá painéal neamhspléach moltóireachta curtha le chéile ag LoveLeabharGaeilge chun na h-iontrálacha a mheas agus chun buaiteoir a roghnú do Ghradam na bliana seo. Beidh deis ag an bpobal féin vóta a chaitheamh ar shuíomh an Irish Book Awards ach is ag an bpainéal moltóireachta amháin a bheidh an cinneadh.